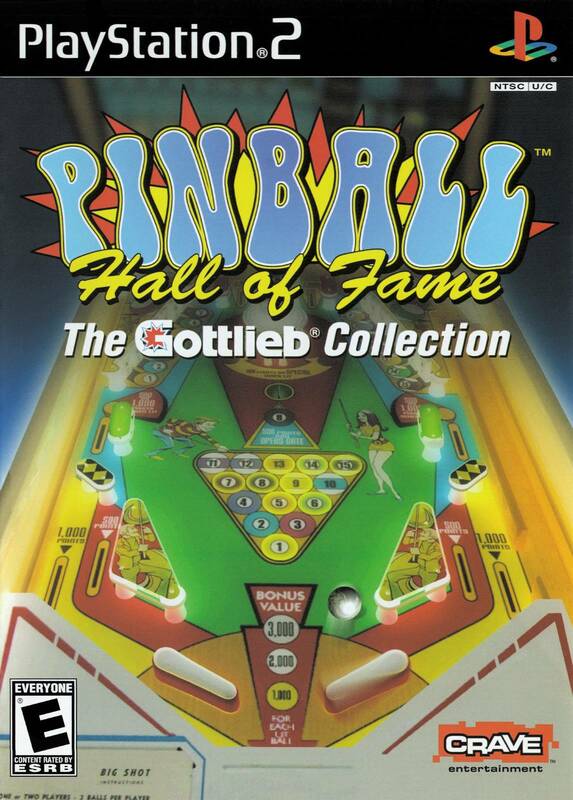 Pinball Hall of Fame resurrects seven of Gottlieb’s greatest pinball machines spanning the 60 years of arcade pinball’s golden age. Recreated in a stunning 3-D environment, the game play, visuals, and sound effects are so authentic, you'll feel like you're in a real arcade. A tutorial fly-through of each table helps you plan your strategy and make every shot count. Compete for the high score alone or against three of your friends. With enough play, you'll learn fun facts about each table and even unlock a bonus table. This game is a trip back in time it really captures the ambiance and game play of the originals. The game came in like new condition and as always LUKIE Games Rocks! My kids are big fans of the real thing so wasn't sure of what to expect. Was pleasantly surprised with this game. Great hall of fame pin ball game. 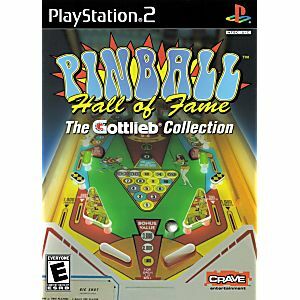 Hi Great hall of fame pinball game in great condition, game Works great no scratches on disk the graphic,s on game look great, I Remeber when i was a kid and i played the pinball game in the store, now i don,t see them no more so i got the game, great for any age and fun to play you will enjoy Thanks. Grabbed this game to qualify for the free shipping. 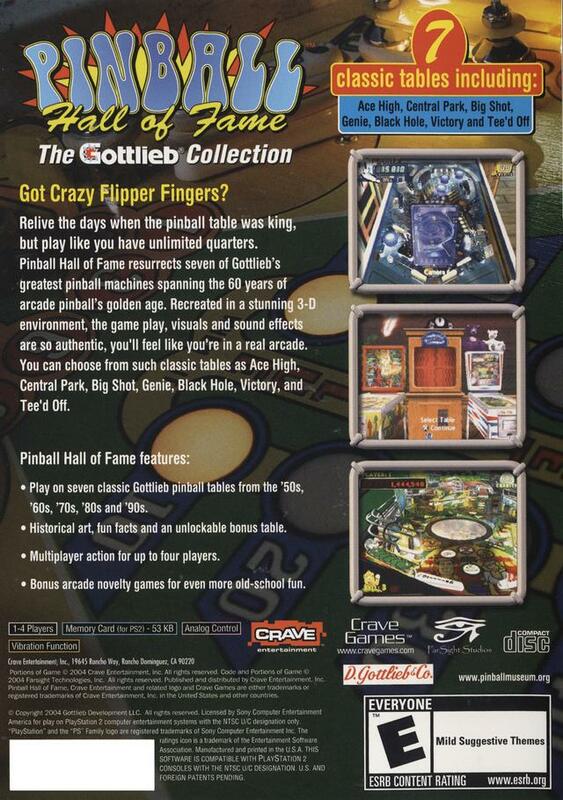 Pinball fans that have passed on this title, or have never played it before, would enjoy this. Seven tables are available with a few to be unlocked. It's a great pinball simulation with some classic pinball tables. Don't miss it! Also on XBOX, 360, PS3, and GameCube. As for Lukie Games the games arrived the day after Labor Day and they were ordered over the weekend. Count it that's three days! Fast shipping and excellent customer service. Satisfied Customer.